Water is one of the most important natural resource and assessment of the trends in water has a great importance to estimate the future of water resources. The main purpose of this study is to present a trend analysis of the streamflow of Daday Stream in Kastamonu, Turkey by monthly, seasonal and annual analyses. Monthly streamflow data were obtained from streamflow gauging station on the stream between 1988 and 2007. Trends of monthly, seasonal and annual runoff of Daday Stream were analysed by Trend analysis, non-parametric Mann-Kendall and Spearman tests. The results showed that mean annual streamflow of Daday Stream has a significant tendency to decrease for this period (p<0.01). Seasonal trend analysis results demonstrated statistically significant decreasing trends were found for all seasons. Trend analyses for monthly displayed that there were also statistically significant decreasing trends for all month excluding February, March, April, and June. In conclusion, decreasing trends in the streamflow of Daday Stream have been predicted for this period and for the future. The fluctuation in water resources could be affected by some reasons such as decreasing rainfall, rising temperature depending upon climate change. Albek, E. (2002). Statistical analysis of water quality trends: an application to the Porsuk Stream. Anadolu University Journal of Science and Technology, 3(2): 281–292. Aslantaş Bostan, P. & Akyürek, Z. (2010). Spatio-Temporal Analysis of Precipitation and Temperature Distribution over Turkey. In: International Conference on Theory, Data Handling and Modelling in GeoSpatial Information Science. Hong Kong, Hong Kong: The International Archives of the Photogrammetry, Remote Sensing and Spatial Information Sciences, 38(Part II): 92-97. Aslantaş Bostan, P. & Akyürek, Z. (2007). Exploring the mean annual precipitation and temperature values over Turkey by using environmental variables. In: ISPRS Joint Workshop “Visualization and Exploration of Geospatial Data”. Stuttgart, Germany: The International Archives of the Photogrammetry, Remote Sensing and Spatial Information Sciences, 38(4/W45): 23. Ay, M. & Özyıldırım, S. (2017). Trend Analysis of Monthly Total Rainfall and Monthly Mean Air Temperature Variables of Yozgat in Turkey. Çukurova University Journal of the Faculty of Engineering and Architecture, 32(2): 65-75. Bacanlı, Ü.G. (2017). Trend analysis of precipitation and drought in the Aegean region, Turkey. Meteorological Applications, 24: 239-249. Bacanlı, Ü.G. & Tanrıkulu, A. (2017). Trends Analysis of Evaporation Datas in Aegean Region. Afyon Kocatepe University Journal of Science and Engineering, 17(035403): 980-987. Bacanlı, Ü.G. & Tanrıkulu, A. (2016). Trends in Yearly Precipitation and Temperature on the Aegean Region, Turkey. Ovidius University Annals Series: Civil Engineering, 18: 203-210. Bahadir, M. (2011). A Statistical Analysis of the Flow Changes of Kızılırmak River. Turkish Studies - International Periodical for the Languages, Literature and History of Turkish or Turkic, 6: 1339-1356. Bates, B.C., Kundzewicz, Z.W., Wu, S. & Palutikof, J.P. (2008). Climate Change and Water. 6th Technical Paper of the Intergovernmental Panel on Climate Change. IPCC Secretariat, Geneva, 210p. Box, G.E.P. & Jenkins, G. (1976). Time Series Analysis: Forecasting and Control. Holden Day, San Francisco. 575p. Büyükyıldız, M. & Berktay, A. (2004). Parametrik Olmayan Testler Kullanilarak Sakarya Havzasi Yağişlarinin Trend Analizi. Journal of Faculty of Engineering and Architechture of Selcuk University, 19(2): 23-38. Cigizoglu, H. K., Bayazit, M. & Onoz, B. (2005). Trends in the maximum, mean and low flows of Turkish rivers. Journal of Hydrometeorology, 6(3): 280-290. Demir, İ., Kılıç, G., Coşkun, M. & Sümer, U.M. (2008). Türkiye'de Maksimum, Minimum ve Ortalama Hava Sıcaklıkları ile Yağış Dizilerinde Gözlenen Değişiklikler ve Eğilimler. In: TMMOB İklim Değişimi Sempozyumu Bildiriler Kitabı. Ankara, Turkey: TMMOB Meteoroloji Mühendisleri Odası. pp. 69-84. Doğan Demir, A. & Demir, Y. (2016). Mean, Minimum and Maximum Temperature Trends in Bingöl. Middle East Journal of Science, 2(2): 101-109. Doğan Demir, A., Demir, Y., Şahin, Ü. & Meral, R. (2017). Trend Analyses of Temperature and Precipitation and Effect on Agricultural in Bingol Province. Türk Tarım ve Doğa Bilimleri Dergisi, 4(3): 284-291. Doğan Demir, A., Şahin, Ü. & Demir, Y. (2016). Trend Analysis and Agricultural Perspective Availability of Water Quality Parameters at Murat River. Yuzuncu Yıl University Journal of Agricultural Sciences, 26(3): 414-420. Duman, E. & Kara, F. (2017). A Study on Trends and Variability in Monthly Temperatures in Antalya Province between the Years 1960 and 2015. Journal of Scientific Research & Reports, 14(2): 1-16. Durdu, Ö.F. (2010). Effects of climate change on water resources of the Büyük Menderes river basin, western Turkey. Turkish Journal of Agriculture and Forestry, 34: 319-332. Dügel, M. & Kazanci, N. (2004). Assessment of water quality of the Büyük Menderes River (Turkey) by using ordination and classification of macroinvertebrates and environmental variables. Journal of Freshwater Ecology, 19: 605-612. Ercan, B. & Yüce, M.İ. (2017). Trend Analysis of Hydro-Meteorological Variables of Kızılırmak Basin. Nevşehir Bilim ve Teknoloji Dergisi, 6(ICOCEE 2017 Özel Sayı): 333-340. Ejder, T., Kale, S., Acar, S., Hisar, O. & Mutlu, F. (2016a). Effects of Climate Change on Annual Streamflow of Kocabaş Stream (Çanakkale, Turkey). Journal of Scientific Research and Reports, 11(4): 1-11. Ejder, T., Kale, S., Acar, S., Hisar, O. & Mutlu, F. (2016b). Restricted effects of climate change on annual streamflow of Sarıçay stream (Çanakkale, Turkey). 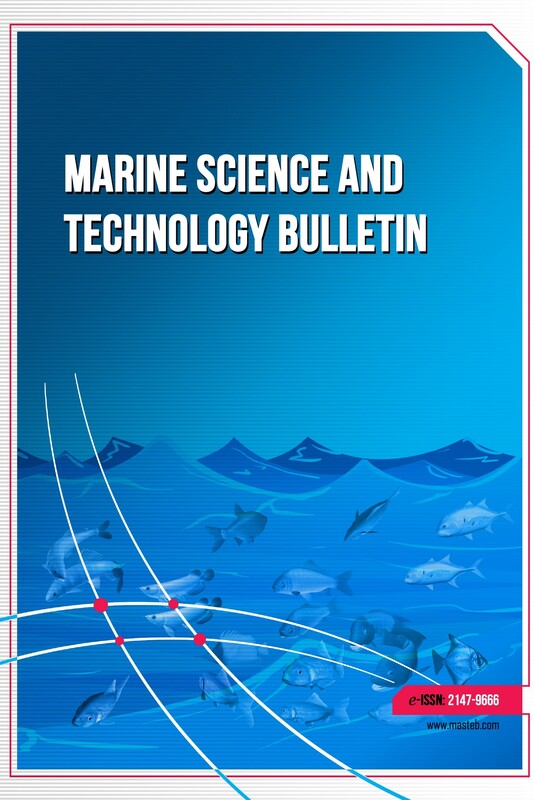 Marine Science and Technology Bulletin, 5(1): 7-11. Gao, P., Mu, X.M., Wang, F. & Li, R. (2011). Changes in streamflow and sediment discharge and the response to human activities in the middle reaches of the Yellow River. Hydrology and Earth System Sciences, 15: 1-10. Han, S., Xu, D. & Wang, S. (2012). Decreasing potential evaporation trends in China from 1956 to 2005: Accelerated in regions with significant agricultural influence? Agricultural and Forest Meteorology, 154-155: 44-56. Helsel, D.R. & Hirsch, R.M. (2002). Statistical Methods in Water Resources Techniques of Water Resources Investigations, Book 4, Chapter A3. U.S. Geological Survey. 522p. Herawati, H., Suripin & Suharyanto. (2015). Impact of Climate Change on Streamflow in the Tropical Lowland of Kapuas River, West Borneo, Indonesia. Procedia Engineering, 125: 185-192. Hirsch, R.M., Slack, J.R. & Smith, R.A. (1982). Techniques of trend analysis for monthly water quality analysis. Water Resources Research, 18(1): 107–121. Hisar, O., Kale, S. & Özen, Ö. (2015). Sustainability of Effective Use of Water Sources in Turkey. In: Leal Filho, W., Sümer, V. (Eds. ), Sustainable Water Use and Management: Examples of New Approaches and Perspectives. Springer International Publishing, Switzerland, pp. 205-227. İçağa, Y. (1994). Analysis of Trends in Water Quality Using Nonparametric Methods. MSc Thesis, Dokuz Eylül University, İzmir, Turkey. 143p. İçağa, Y. & Harmancıoğlu, N. (1995). Determination of Water Quality Trends in the Yeşilırmak River Basin. Proceedings Book of 13. Technical Congress of Civil Engineering, pp. 481-498. IPCC, (2007). Climate Change 2007: Impacts, Adaptation and Vulnerability: Working Group II Contribution to the Fourth Assessment Report of the Intergovernmental Panel on Climate Change. Cambridge University Press, Cambridge, UK, 976p. Jackson, C.R., Meister, R. & Prudhomme, C. (2011). Modelling the effects of climate change and its uncertainty on UK Chalk groundwater resources from an ensemble of global climate model projections. Journal of Hydrology, 399: 12-28. Jaswal, A.K., Prakasa Rao, G.S. & De, U.S. (2008). Spatial and temporal characteristics of evaporation trends over India 1971-2000. MAUSAM, 59(2): 149-158. Kaçan, E., Ülkü, G. & Turan, F. (2007). Total pollution load discharged to creeks and River Buyuk Menderes near Denizli City. Proceedings of the International Congress on River Basin Management. General Directorate of State Hydraulic Works, Antalya, Turkey, pp. 54-63. Kadıoğlu, M. (1997). Trends in Surface Air Temperature Data over Turkey. International Journal of Climatology, 15: 511-520. Kahya, E. & Kalaycı, S. (2004). Trend analysis of streamflow in Turkey. Journal of Hydrology, 289: 128-144. Kalayci, S. & Kahya, E. (1998). Detection of Water Quality Trends in The Rivers of the Susurluk Basin. Turkish Journal of Engineering and Environmental Science, 22: 503-514. Kale, S., Ejder, T., Hisar, O. & Mutlu, F. (2016a). Climate Change Impacts On Streamflow of Karamenderes River (Çanakkale, Turkey). Marine Science and Technology Bulletin, 5(2): 1-6. Kale, S., Ejder, T., Hisar, O. & Mutlu, F. (2016b). Effect of Climate Change on Annual Streamflow of Bakırçay River. Adıyaman University Journal of Science, 6(2): 156-176. Kale, S. (2017a). Climatic Trends in the Temperature of Çanakkale City, Turkey. Natural and Engineering Sciences, 2(3): 14-27. Kale, S. (2017b). Analysis of Climatic Trends in Evaporation for Çanakkale (Turkey). Middle East Journal of Science, 3(2): 69-82. Kale, S., Hisar, O., Sönmez, A.Y., Mutlu, F. & Filho, W.L. (2018). An Assessment of the Effects of Climate Change on Annual Streamflow in Rivers in Western Turkey. International Journal of Global Warming, 15(2): 190-211. Kale, S. & Sönmez, A.Y. (2018). Trend Analysis of Streamflow of Akkaya Stream (Turkey). Proceedings of the 1st International Conference on Food, Agriculture and Animal Sciences, Antalya, Turkey. pp. 33-45. Kendall, M.G. (1955). Rank Correlation Methods. 2nd ed. Hafner Publishing Co., New York. 196p. Kızılelma, Y., Çelik, M.A. & Karabulut, M. (2015). Trend analyses of temperature and precipitations in Central Anatolia. Türk Coğrafya Dergisi, 64: 1-10. Kişi, Ö., Guimarães Santos, C.A., Marques da Silva, R. & Zounemat-Kermani, M. (2018). Trend analysis of monthly streamflows using Şen’s innovative trend method. Geofizika, 35(1): 53-68. Koçman, A. & Sütgibi, S. (2012). Hydrograpic/hydrologic characteristics of Gediz river basin in the context of the environmental components – problems and suggestions. Eastern Geographical Review, 28: 155-174. Limjirakan, S. & Limsakul, A. (2012). Observed Trends in Surface Air Temperatures and Their Extremes in Thailand from 1970 to 2009. Journal of the Meteorological Society of Japan, 90(5): 647-662. Ozkul, S. (2009). Assessment of climate change effects in Aegean river basins: the case of Gediz and Buyuk Menderes Basins. Climatic Change, 97: 253-283. Ozkul, S., Fistikoglu, O. & Harmancioglu, N. (2008). Evaluation of climate change effects on water resources in the case of Gediz and Büyük Menderes river basins. TMMOB 2. Su Politikaları Kongresi Bildiriler Kitabı, Ankara, TURKEY, pp. 309-322. Partal, T. & Kahya, E. (2006). Trend analysis in Turkish precipitation data. Hydrological Processes, 20(9): 2011-2026. Pettitt, A.N. (1979). A Non-Parametric Approach to the Change-Point Problem. Journal of the Royal Statistical Society. Series C (Applied Statistics), 28: 126-135. Pumo, D., Caracciolo, D., Viola, F. & Noto, L.V. (2016). Climate change effects on the hydrological regime of small non-perennial river basins. Science of the Total Environment, 542 (Part A): 76-92. R Core Team. (2017). R: A Language and Environment for Statistical Computing. R Foundation for Statistical Computing, Vienna, Austria [online] https://www.R-project.org/ version (07/2017). Saplıoğlu, K., Kilit, M. & Yavuz, B.K. (2014). Trend Analysis of Streams in the Western Mediterranean Basin of Turkey. Fresenius Environmental Bulletin, 23(1):1-12. Sen, P.K. (1968). Estimates of the regression coefficient based on Kendall’s tau. Journal of the American Statistical Association, 63(324): 1379–1389. Şen, Z. (2012). Innovative trend analysis methodology. Journal of Hydrologic Engineering, 17(9): 1042-1046. Şensoy, S., Demircan, M. & Alan, İ. (2005). 1971 - 2004 Yılları Arası Türkiye İklim İndisleri Trendleri. Devlet Meteoroloji İşleri Genel Müdürlüğü, Ankara, Turkey. Taylan, D. & Aydın, T. (2018). The Trend Analysis of Lakes Region Precipitation Data in Turkey. Cumhuriyet Science Journal, 39(1): 258-273. Tebakari, T., Yoshitani, J. & Suvanpimol, C. (2005). Time-Space Trend Analysis in Pan Evaporation over Kingdom of Thailand. Journal of Hydrologic Engineering, 10(3): 205-215. Tosunoglu, F. & Kisi, O. (2017). Trend Analysis Of Maximum Hydrologic Drought Variables Using Mann–Kendall And Şen’s Innovative Trend Method. River Research and Applications, 33: 597-610. Tosunoğlu, F. (2017). Trend Analysis of Daily Maximum Rainfall Series in Çoruh Basin, Turkey. Iğdır University Journal of the Institute of Science and Technology, 7(1): 195-205. Türkeş, M. & Acar Deniz, Z. (2011). Climatology of South Marmara Division (North West Anatolia) and observed variations and trends. International Journal of Human Sciences, 8: 1579-1600. Türkeş, M., Sümer, U., Kılıç, G. (1996). Observed Changes in Maximum and Minimum Temperatures in Turkey. International Journal of Climatology, 16(4): 463-477. Yavuz, H. & Erdoğan, S. (2012). Spatial Analysis of Monthly and Annual Precipitation Trends in Turkey. Water Resources Management, 26(3): 609-621. Yenigün, K. & Ülgen, M.U. (2016). Trend analysis of maximum flows under climate change evaluation and its impact on spillway. Disaster Science and Engineering, 2(1): 25-28. Yercan, M., Dorsan, F. & Ul, M. (2004). Comparative analysis of performance criteria in irrigation schemes: a case study of Gediz river basin in Turkey. Agricultural Water Management, 66: 259-266. Yıldırım, U., Yılmaz, İ.Ö. & Akınoğlu, B.G. (2013). Trend analysis of 41 years of sunshine duration data for Turkey. Turkish Journal of Engineering & Environmental Sciences, 37: 286-305. Zhou, Y., Shi, C., Fan, X. & Shao, W. (2015). The influence of climate change and anthropogenic activities on annual runoff of Huangfuchuan basin in northwest China. Theoretical and Applied Climatology, 120: 137-146.